It has a been a while… The last time the whole family travelled was.. Subhanallah, I can’t even remember. Sarah was five or six months kot. We are now having a taste of life with regular activities. For example, Karate for kids every Tuesday night and Sunday morning. Sunday kuliah at the surau for me. Regular visits to surau for my better half plus morning breakfast with pakcik-pakcik pencen. It’s nice, serene, peaceful and fulfilling. But, we do miss being on the road – exploring quaint little towns, indulging in local cuisines, hearing strong and thick local dialects. Seronoknya!!! The point of this post is actually to announce the creation of our micro-mini garden. 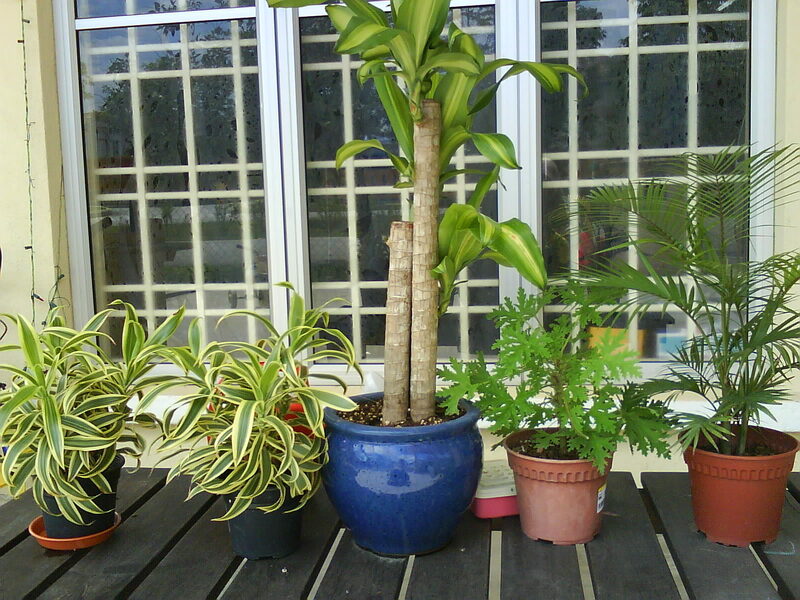 A row of 5 potted plants neatly arranged on a wooden bench. Subhanallah…these 5 species have brightened that barren spot. Imagine if we had 10, 20, 50, 100… silap-silap jadi amazon rainforest. x siram xpe. tapi jgn biak larva nyamuk udahlah. pesanan khidmat masyarakat dari entomologist yg sdg bercuti. anyway, chanteklah mini tmn…. asalkan nyamuk tidak gemuk mengamuk menyerang kita.